Even a Meet Myrtle animal encounter! Head to Twitter or Instagram and post a picture. In your caption, include the hashtag phrase #TurtleRescueTeam. We'll be choosing our favorites to win those spiffy prizes. Just be sure your account is public so that we can see your submission. And don't forget to "claim" your photo so we can find you if you win. Check out this week's winners. See your picture here on our contest gallery! So what kind of pictures are we looking for? It could be a selfie with Myrtle at the Aquarium, or even with her mug on the ads around town. It could be your family enjoying our newest exhibit. It could you at the beach (or anywhere) with a reusable water bottle or grocery tote—because reusing those items can help turtles! Or maybe you rescued a turtle from the street by helping it cross the road. You see, turtle rescuers come in all walks of life, shapes and sizes. We can't wait to see what you post! and @khnew is entered to win cool swag—including a grand prize of a Meet Myrtle program! 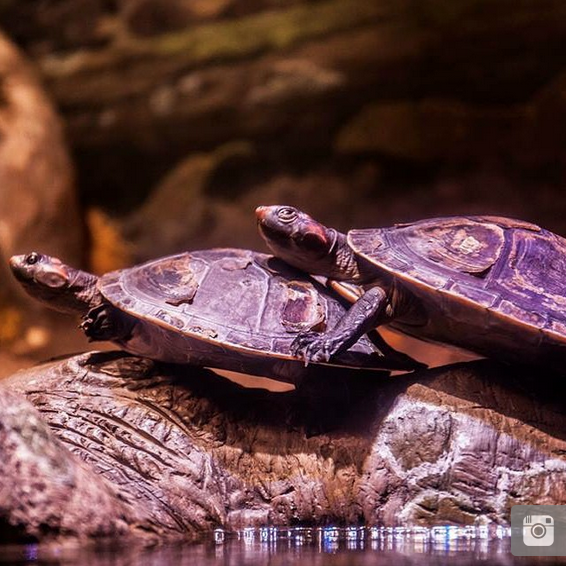 @neallk shared this turtle-y awesome pic from a recent visit with #TurtleRescueTeam. You bet they're entered to win turtle swag! @mmdill carefully helped this turtle cross the road. 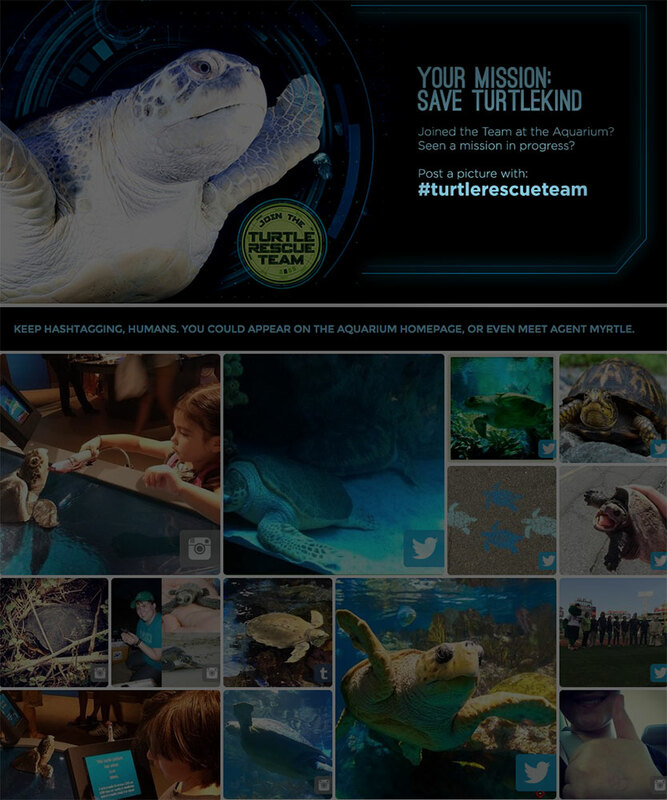 Yup, they're entered to win cool stuff through our #TurtleRescueTeam hashtagging fun! If you see a turtle on a quiet road, stop and let it cross—but only if it’s safe for you! Turtles move about to find mates and lay eggs. Our roads interrupt those journeys. 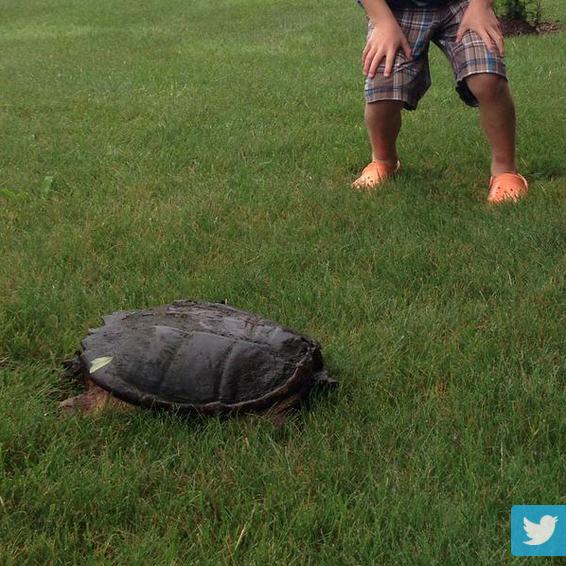 Gently move the turtle to the side of the road by holding the sides of its shell near the tail. Be careful, some turtles can bite! Be sure to wash your hands afterward. Never transport turtles to a different habitat or distant locations. You could be spreading disease and removing a breeding adult from its population. Do not release pet turtles into the wild. They also carry disease and non-native species can out-compete our local species. Call your local pet shop if you need help. Advocate for habitat protection. Turtles live a long time and often return to the same places to breed and lay eggs. Protecting their swamps mean many more generations of turtles can thrive. Need more turtle to start your summer? Of course you do! 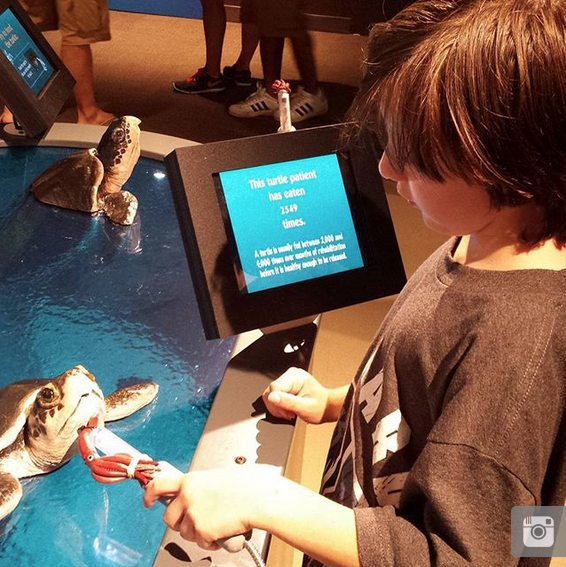 Plan a visit to the Aquarium to explore our new exhibit. You'll also learn how communities are coming together to protect turtle habitats and get a glimpse at some of our greatest turtle rescue success stories. Not sure how to "claim" my photo? Good question, Kaitlyn. Assume you posted a picture to Instagram or Twitter—what fun! You should have received a comment or auto-response telling you to go here to claim your picture: http://bit.ly/TurtleRescueTeam. Follow the link, click on your picture and find the link to claim i! NOTE: Your Instagram feed needs to be public in order for the pictures to appear on the public gallery. Thanks for playing along! Strange, I never got a message like that and I don't see my photo there. However it appears under the hashtag on instagram. Get ready for the Wharf Festival! Aquarium rescuers honored at Fenway! A Whale of a Salute to Old Glory! Welcome to the turtle days of summer!